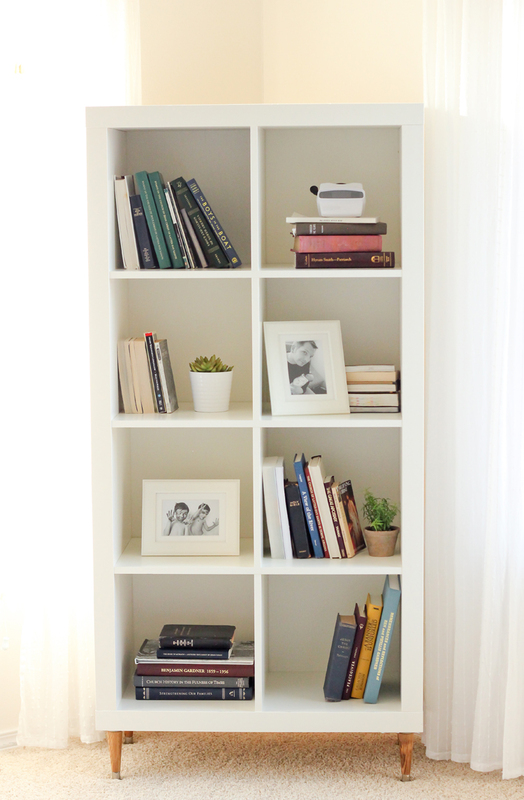 The Ikea Kallax shelf is so simple in design yet so functional in use. Chances are you, or someone in circle, own one (or more) of these ubiquitous bookcase. 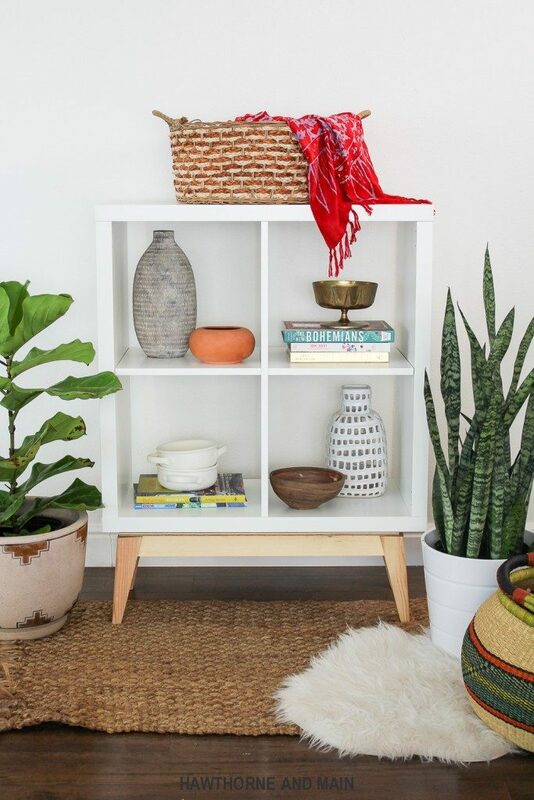 There are ways to transform or hack the Ikea Kallax into something a little more exciting. 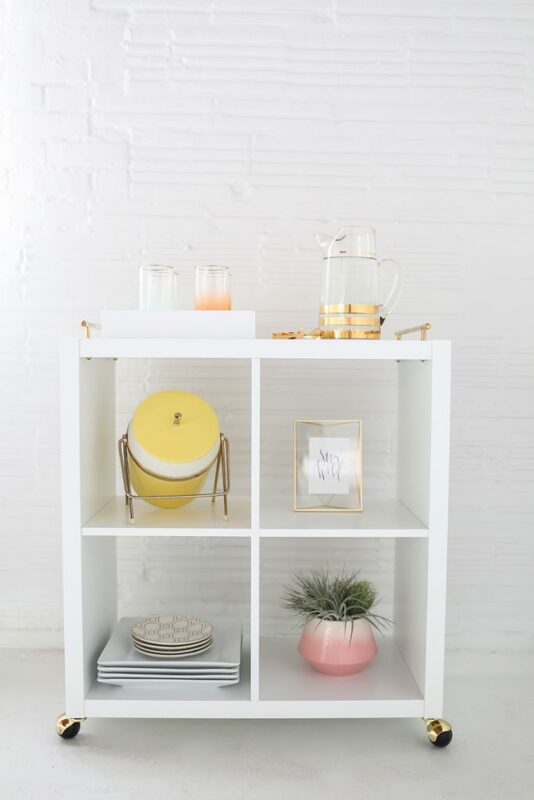 You can DIY a cosmetic upgrade with paint or hardware, change its function into a desk or wardrobe, or modify the shelving to have a custom storage unit. If you don’t live near an Ikea, they do offer shipping and you can also buy the Kallax online here. I’ve written about finding the right insert for the Ikea Kallax before. Now’s it’s time to upgrade the shelf itself. 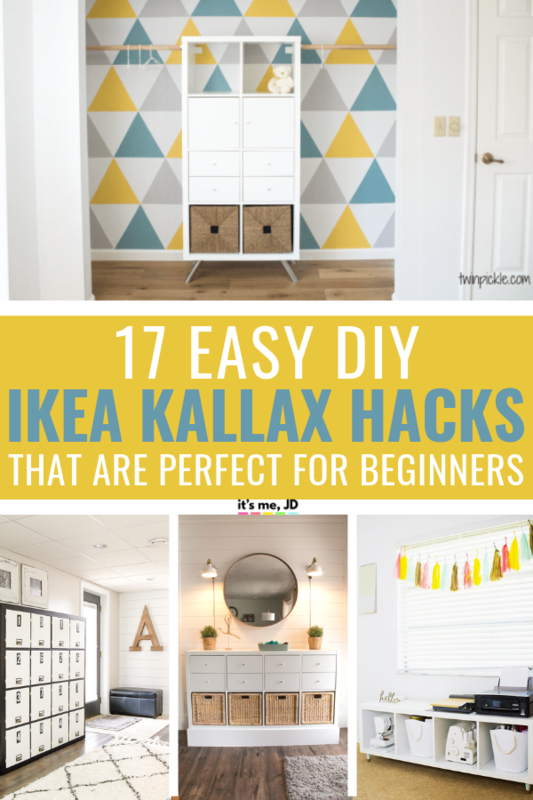 I’ve rounded up some creative hacks and different way to change up the Kallax (or Expedit if you still have it). I love how she raises the whole Ikea unit up to truly make it a statement piece. 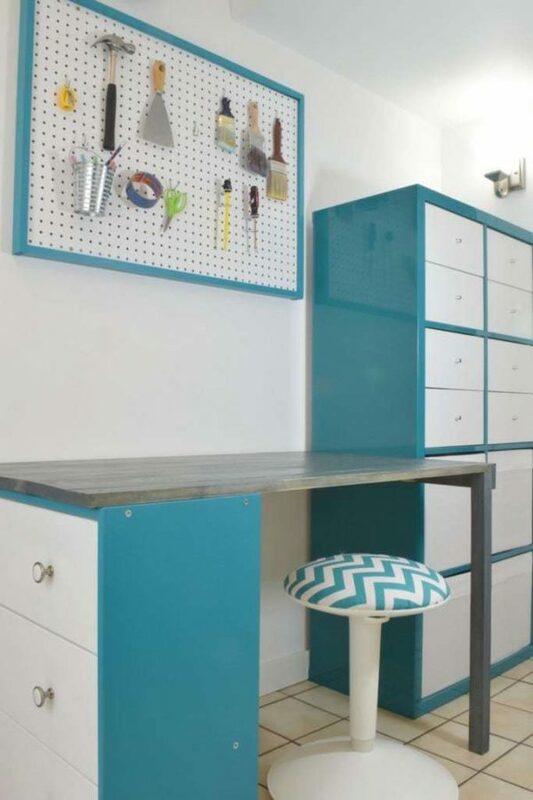 You can build a custom closet with this awesome idea for an Ikea hack. I love how the Kallax went mid century modern with the addition of these legs and some tools. 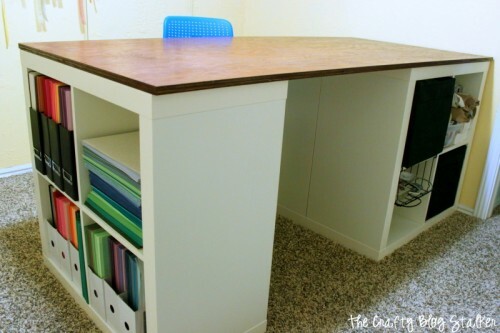 You can now have double the storage by attacking a desk top to the Ikea Rast and Kallax. 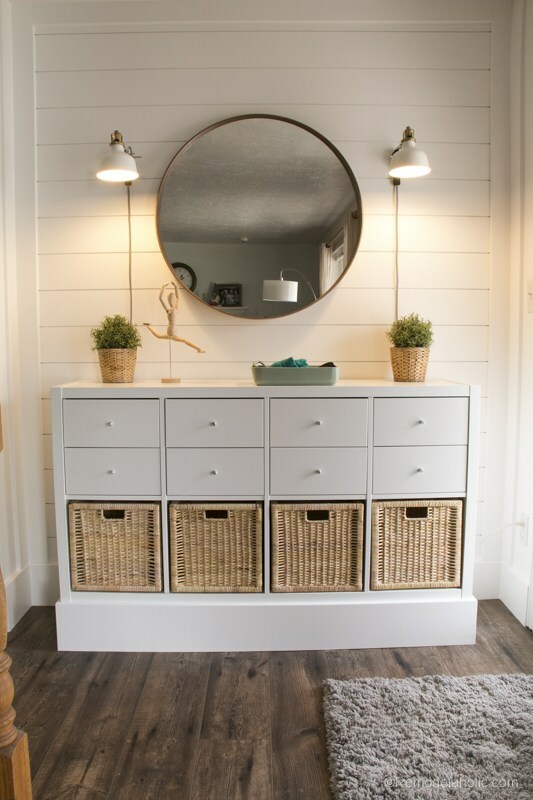 The handles on this unit make the storage unit oh-so-chic. 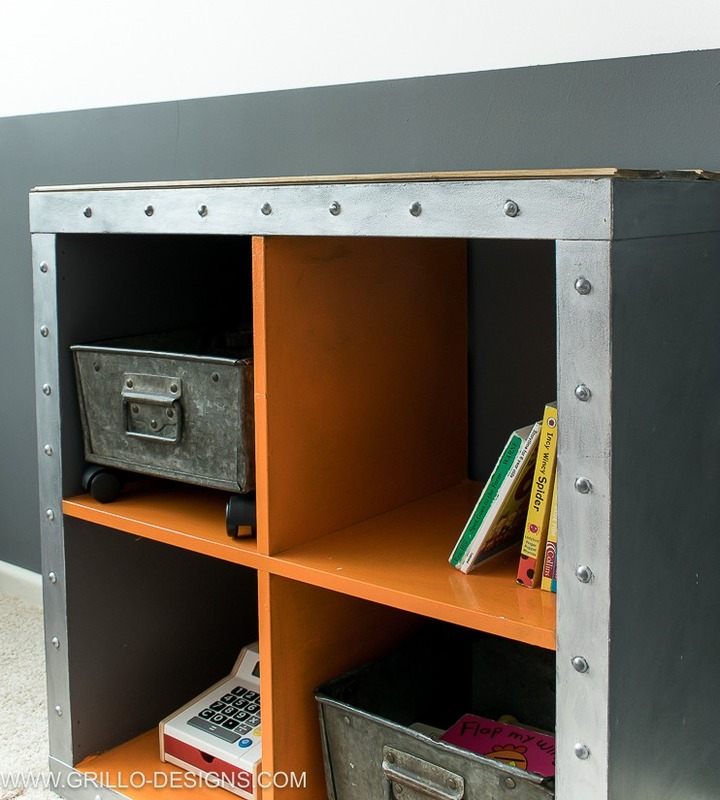 You can take these Ikea shelves from simple to industrial with some paint and elbow grease. What’s better than an Ikea bar hack? A rolling Ikea bar hack. 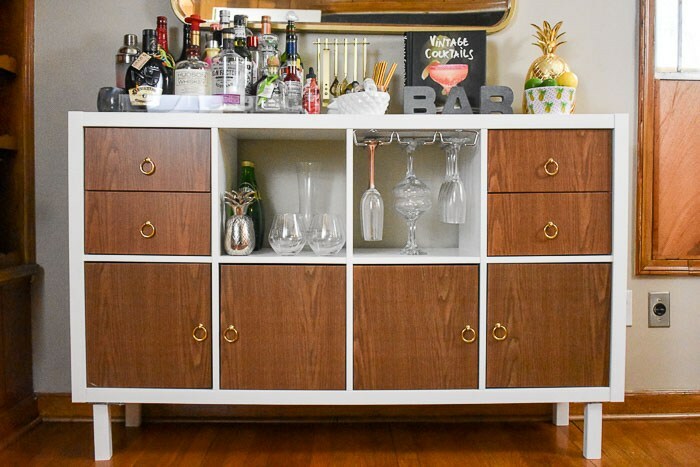 I love how she totally transformed the Kallax to a fabulous home bar. 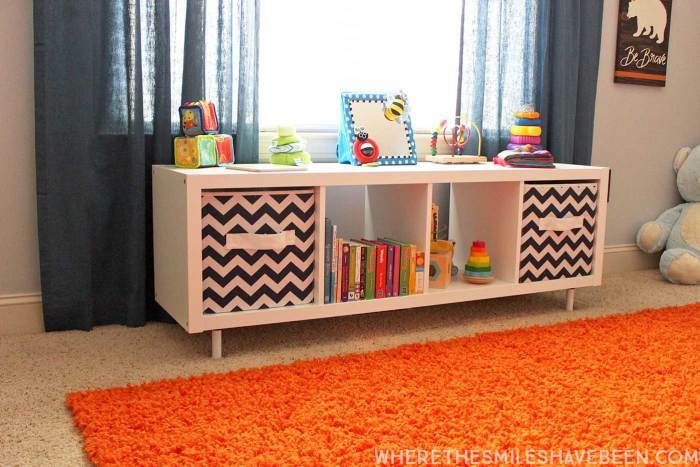 The Kallax now fit great with the nursery with this hack. 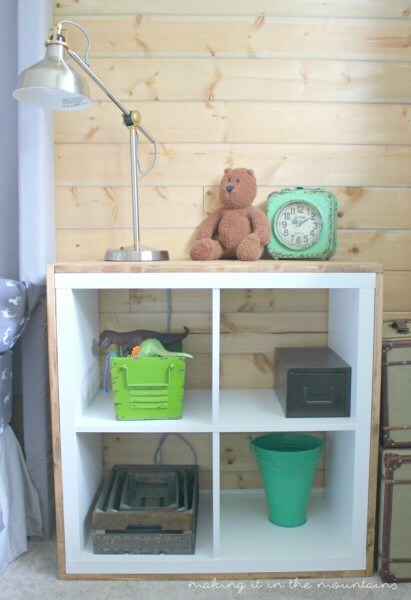 You can transform your Ikea bookshelf into something rustic with the help of this tutorial. 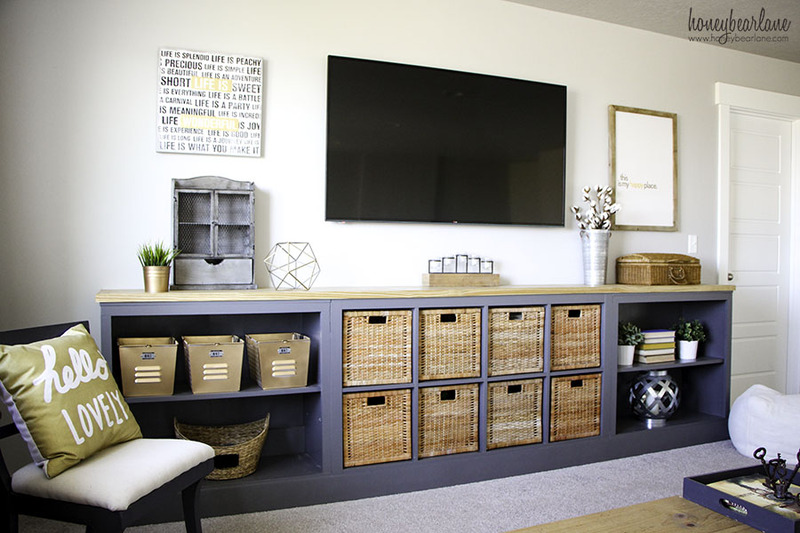 This is such a stunning transformation of the ikea bookcase into a showing stopping centerpiece for the living room. 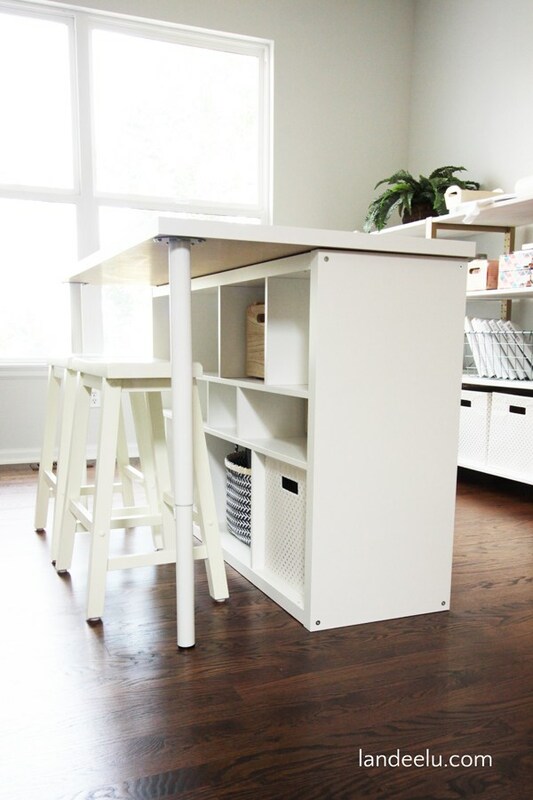 I love her detailed tutorial on how to hack the Ikea Kallax into a custom craft table. How creative is this? 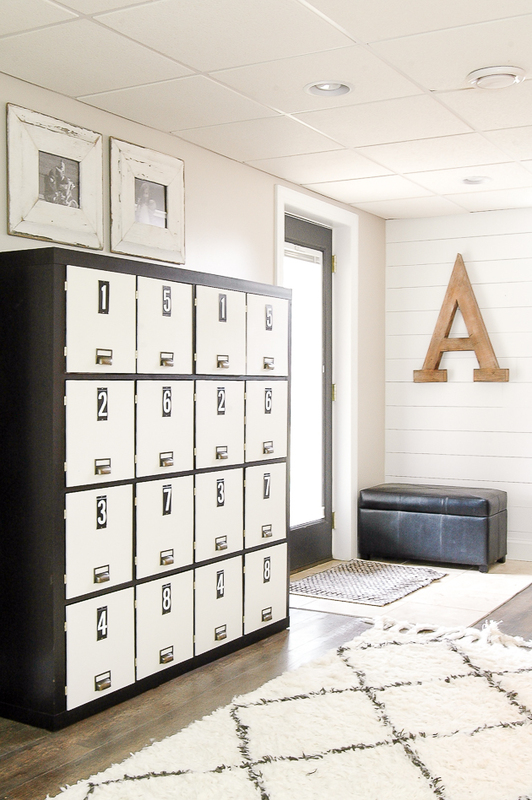 Adding door to your Ikea shelves to make lockers is a great hack. 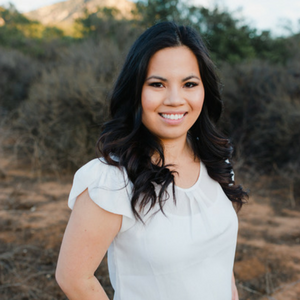 This hack is really simple, but great for beginners. 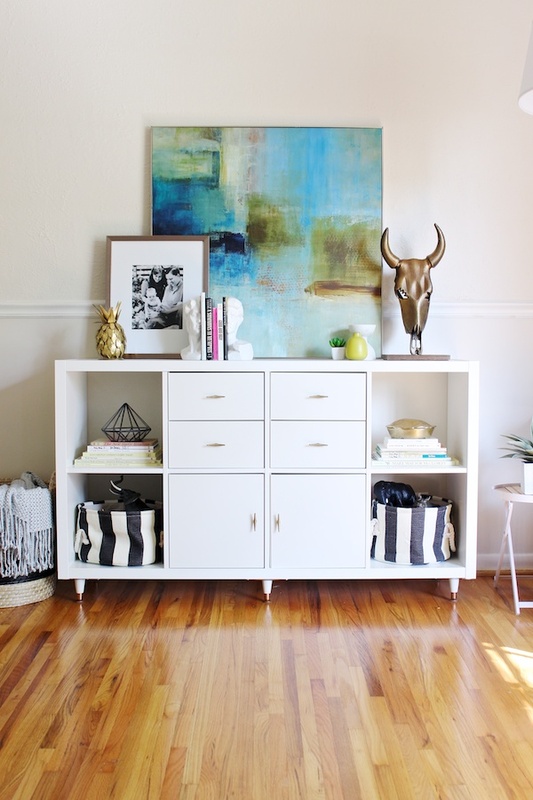 You can transform the Expedit or Kallax from average to mid-century modern fabulous! 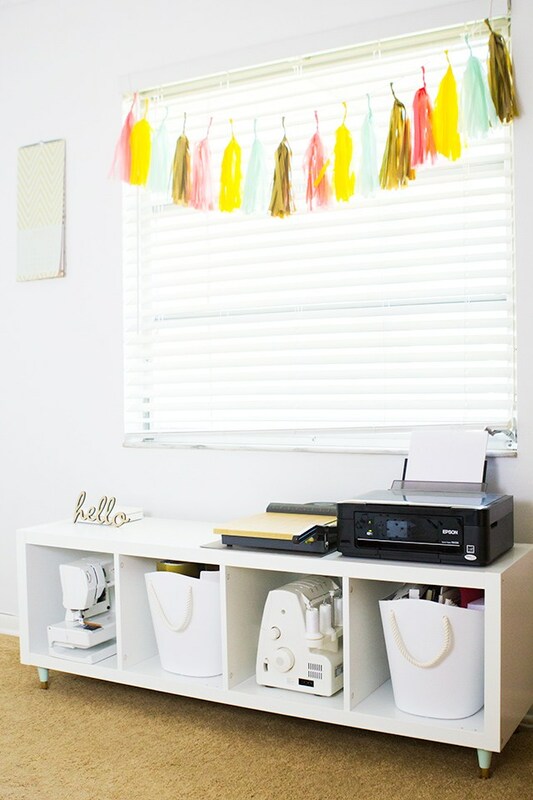 This is the perfect budget friendly hack for a work space. 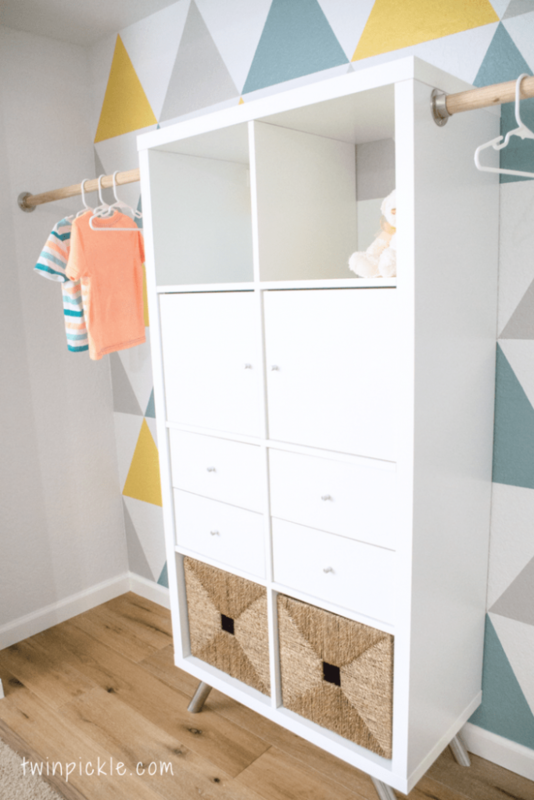 The Ikea shelf makes a perfect nursery changing station and storage with this hack. The wood just adds so much to its character.